Insurgencies are political and military efforts by non-state armed actors against established governments with the aim of controlling territory and establishing (or re-establishing) new political entities, either autonomous or independent. Indonesia has experienced several forms of insurgency. In the 1950s, regional rebellions erupted across Aceh, West Sumatra, West Java, South Sulawesi, North Sulawesi, Maluku and elsewhere, mostly based on grievances against the newly independent central government but often with ethno-nationalist factors thrown in. The Darul Islam movement, which began in 1948 in West Java, was one of these. After Indonesia’s invasion of East Timor in 1975, a tiny pro-independence movement gathered strength under the banner of the Revolutionary Front for an Independent East Timor (FRETILIN). It continued to fight the Indonesian government until the first post-Soeharto Indonesian government agreed to a United Nations-sponsored referendum in 1999. The result, in favour of separation from Indonesia, led to scorched-earth revenge attacks by pro-Indonesian militias and the Indonesian army and eventually to the establishment of Timor-Leste as a fully independent state in May 2002. It now enjoys warm relations with Indonesia. 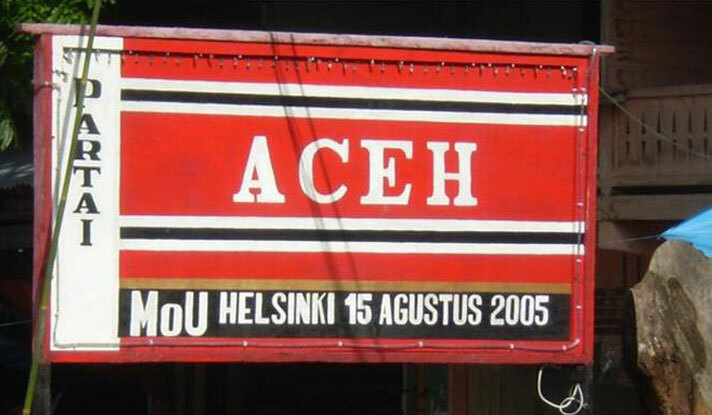 The Free Aceh Movement (Gerakan Aceh Merdeka, GAM) began in 1976, in the early years of Soeharto’s New Order, as a splinter of the local Darul Islam movement. Its rebellion against the central government ended, after an extraordinary confluence of circumstances including the December 2004 tsunami, with a peace agreement in Helsinki in August 2005. The most critical point in the agreement was a provision allowing for the formation of local political parties – in the rest of Indonesia, parties must be national in scope with a presence in more than half of the country’s provinces. This enabled GAM in 2008 to form Partai Aceh, which turned into a formidable political machine for the 2009 general elections and the 2012 gubernatorial election. In the 2014 elections, popular support for Partai Aceh weakened, but it still garnered far more votes than any national party. After ten years, the peace is still holding. Papua is Indonesia’s most important remaining unresolved conflict where since 1965, a small armed rebel group called the Free Papua Organisation (Organisasi Papua Merdeka, OPM) has waged a low-intensity war against the Indonesian security forces while a broader political movement has campaigned for independence. In 2001, the territory, known successively as West New Guinea, West Papua, West Irian, Irian Jaya and Papua, was granted “special autonomy” (otonomi khusus or otsus) under Law 21/2001.In 2003, it was carved into two provinces, Papua and West Irian Jaya, later renamed West Papua. “West Papua” is thus a term used by independence supporters to refer to the whole territory, and by most Indonesians to refer just to the new province. The division, by fiat from Jakarta, caused widespread anger, especially among members of the Papua elite who had been willing to accept the principle of autonomy rather than independence and who felt betrayed by the division. Long dismissed as an insignificant military threat, the OPM has grown somewhat stronger in recent years with more cash to buy arms, better communications through mobile phones, and more contact with urban political fronts, although it remains divided by terrain and ethnicity. Pro-independence Papuan political groups have traditionally been divided as well, with the West Papuan National Authority (WPNA) drawing most of its limited support from the northern coast and the West Papuan National Coalition for Liberation most influential among a small Papuan diaspora. Both have been overshadowed in recent years by the activities of Oxford-based Benny Wenda and the Free West Papua Campaign, which maintains close ties to the Papua-based highland-dominated West Papua National Committee (Komite Nasional Papua Barat, KNPB). The leadership of these groups put aside their differences in December 2014 to form the United Liberation Movement for West Papua (ULMWP), but the staying power of this front is not yet clear. A broad-based Papuan civil society coalition called the Papua Peace Network (Jaringan Damai Papua, JDP) led by Father Neles Tebay, has been working since 2009 to establish a dialogue with Jakarta on peaceful resolution of the conflict. A tiny nationalist group in central Maluku with a larger following among the Moluccan diaspora in the Netherlands has campaigned for a separate Republic of the South Moluccas, but it constitutes no serious security threat and has split into several factions.